Why do some choose offence to Jesus' words? Most often, those who respond this way say their response is justified because the claims of Jesus and his followers are "arrogant, narrow" or the like. Does the "narrow" claim that water is necessary for life produce similar response? Does Truth Exist? The first problem for some is the very existence of truth. Some deny that truth exists and are simply offended by those who suggest otherwise. Yet, the likelihood that truth exists in some form is so strong that no one can live consistently with the notion that truth exists in no form. To take a crude example, imagine an airplane bearing down on a mountain in a fog. The pilot may deny the existence of the mountain, wish it didn't exist, or take offense at the suggestion of a passenger that the mountain exists. The view of the pilot however has no bearing on the existence of the mountain or the effect of striking it. The denial of objective truth is a theoretical concept with which no one can actually live life with consistency or safety. Some may concede, yes, physical truth or objectivity exists, but it is illegitimate to make the same claim for moral or spiritual truth. I would ask however, why not? If truth is agreed to exist objectively, independent of your and my opinion of it, why would you rule out the existence of truth in the non-physical realm? One would need, at minimum, to agree that objective truth could exist in the non-physical (spiritual/moral) realm. And if truth could exist in the non-physical realm, what evidence is there that it does? And what evidence do those who believe otherwise, offer that truth could not exist in the non-physical, spiritual or moral realm? Take for instance one of the best known moral codes in history, the "10 commandments." Taken purely from a practical perspective its difficult to deny, whether you like them personally or not, that at least some of the 10 commandments are objectively "good" for society. Recent history in fact allows for a comparison. For some years the 10 commandments and Lord's Prayer were accepted and referred to in various ways in public schools in the USA and other western nations. In fact, some would argue the strength of those cultures were at least in part based on the value inherent in the worldview and morality implicit in these expressions of moral/spiritual reality. Charts from: David Barton, America: to Pray or Not to Pray, Wall Builders Press, 1991. The outcomes of 'freedom' from the most widely accepted moral code in western culture were swift and devastating in their effects on the lives of many. The charts above show only the numbers, not the pain. This experience suggests at least that moral/spiritual principles have physically objective consequences. Some may also concede the objective existence of truth with equal reality in the moral/spiritual realm. If that possibility is conceded then it cannot be ruled out that Truth may objectively exist also in the moral/spiritual realm regardless of whether individuals or society accept it. Truth - physical, moral and spiritual - is embeded is the nature of reality. Is Jesus the Truth? The second problem with with the claim of Jesus to be "the Way, the Truth, and the Life" may be less intellectual than emotional in its root. For this reason reactions to Jesus' claim sometime moves from rejection to anger. The emotional root may stem not only from resistance to the notion that moral/spiritual truth exists objectively, but further, that you and I cannot choose and control it to our purposes. What do we mean by that? In spite of the evident outcomes of rejecting moral/spiritual truth and the immeasurable costs in human suffering, many in the 21th century remain cynical that truth, though it may exist, can be known, or insist that each person has the 'right' to form his or her own truth. Though diverse techniques, both the occult (which I reject as morally fruitful) and science (which I accept where it is not used to deny the existence of what it cannot measure), seek to control reality by using its respective techniques to accomplish our purposes. 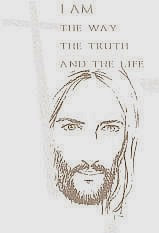 Yet Jesus, in His claim to be the Way, Truth and Life (John 14:6) or His invitation to follow him into the Kingdom of God, cannot be controlled by science, magic or human will. All Jesus' claims rather are the very nature of absolute reality. And to accept and embrace Him is the essence of wisdom. I invite you to hear what Jesus said of himself, to read the Gospels, open your heart, allow Jesus free reign, and turn to follow Him. C.S. Lewis, The Abolition of Man, Collins, 1978. p. 46.